UPDATE June 10, 2016: The AOPA reports that the Navy has decided to cancel the planned GPS interference tests that the FAA previously announced. While this news is promising, pilots should continue to follow the official guidance and plan accordingly. The FAA has not officially rescinded its advisory and NOTAMs regarding the tests are still in effect. ORIGINAL POST June 8, 2016: The FAA has issued a notice advising of GPS interference testing this month that may cause GPS to become unreliable or unavailable for aircraft operating in parts of the southwestern US and on the West coast. 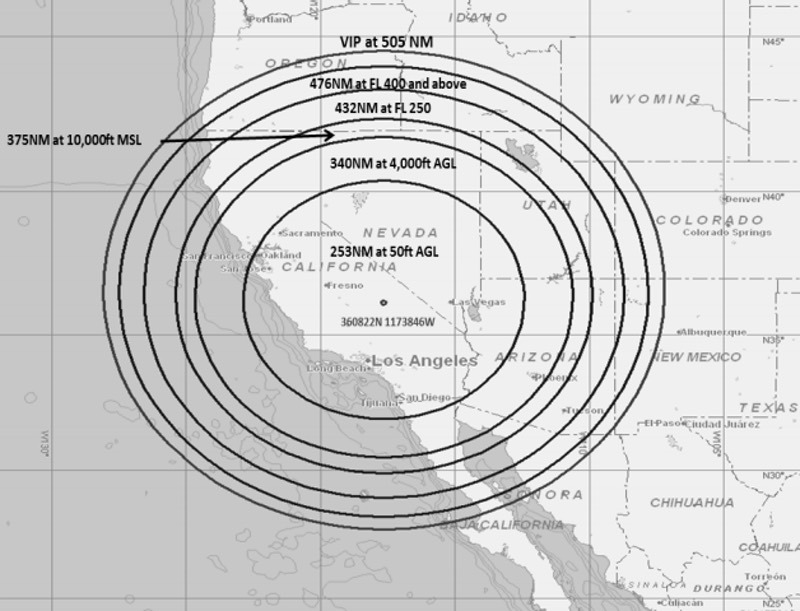 The testing will be centered about 60 nm southwest of the BTY VOR in Nevada, with disruption of GPS possible within a radius of 253 nm for aircraft at 500′ AGL, up to a radius of 476 nm for aircraft at FL400 and above. Testing will be conducted between 1630Z and 2230Z on the following dates: June 7, June 9, June 21, June 23, June 28, and June 30. ARTCC NOTAMs regarding the testing have been published for much of the western US, and can be found in ForeFlight under the ARTCC tab when viewing an airport’s NOTAMs. While noting that all aircraft that rely on GPS may be affected by the testing, the advisory specifically recommends that pilots of Embraer Phenom 300 jets avoid the area entirely, stating that the testing (and resultant disruption of GPS) may affect those aircraft’s flight stability controls. We urge any pilots flying in the affected area to adequately plan and prepare for the disruption or total loss of GPS service during the dates and times specified. Even without GPS, ForeFlight provides essential tools for navigating in the air, including aeronautical charts and plates downloads, weather and NOTAM data from Pack, and the Maps Ruler for measuring distances and radials.